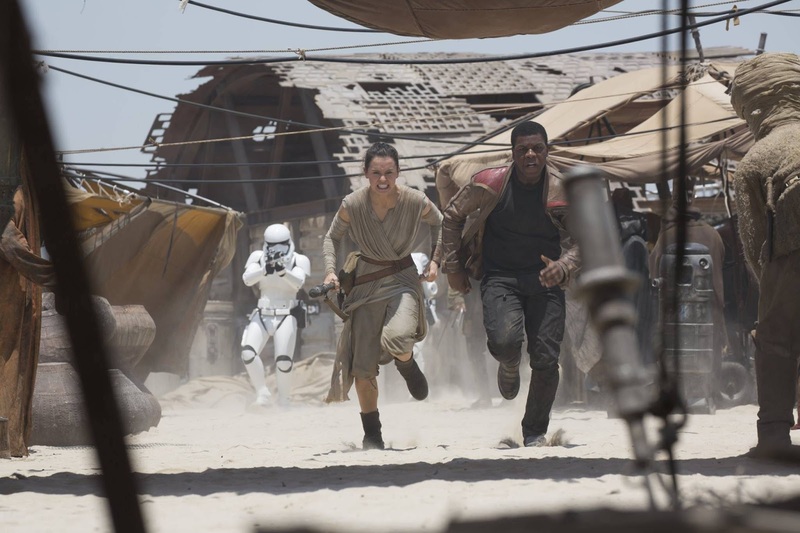 Star Wars: The Force Awakens has become the UK and Ireland’s biggest ever cinematic release. The film, which has only been on release for 22 days, has today overtaken Skyfall’s £103.2million in the UK and earlier this week became the second in history to reach £100million in the UK. The result came after just 20 days of business compared to the 66 days Skyfall took to reach the same amount. Globally the film has already made over £1.59billion worldwide and this week became the biggest release at the US box office overtaking Avatar. The Force is also awakening within the award season as the British Academy announced today that the film has been nominated for four BAFTA awards, Original Music, Production Design, Sound and Special Visual Effects. Star Wars: The Force Awakens broke a number of records on its release on December 17th including the biggest ever UK opening weekend, the biggest ever opening worldwide, widest release of a title in the UK, highest advance bookings of all time and the first film to reach £50m within a week. The film also had the biggest ever single day at the box office with £9.7million.